The Box Office is open 1.5 hours prior to the commencement of a show and half an hour after a show commences. Additional Box Office opening hours are dependent on individual show times. Pre-paid tickets can be collected from the venue Box Office within the said opening hours or from 1.5 hours prior on the day of the performance. Tickets can also be collected from any Ticketmaster outlet up until the day of the performance. VIP Red Carpet ticket holders can pick up tickets and vouchers from 1 hour pre-show on the day of the event at the VIP window, up the red carpet, opposite the Box Office at the Regent Theatre. Falun Dafa Association of Australia, Victoria Branch Inc. Discounted parking rates are available to Marriner Group patrons if booked online in advance at www.bookabay.com.au. Open 24 hours. Disabled bays and wheelchair access available. Visit www.marrinergroup.com.au for more information. Mobility Impairments / Stairs: It is recommended that you request Stalls seating. Dress Circle seating is not suitable for elderly / disabled patrons who have difficulty with stairs or suffer vertigo. 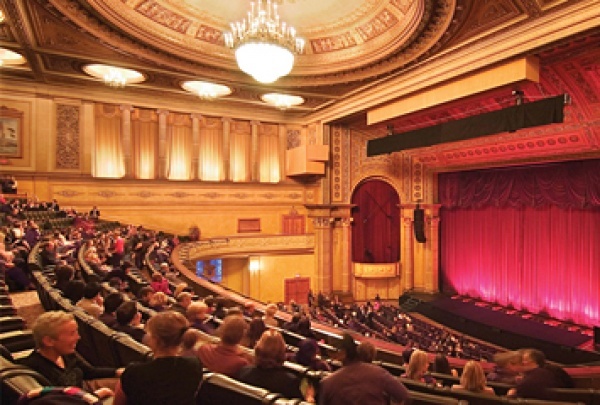 Wheelchair Users: Wheelchair and disabled bookings must be made directly with the Regent Theatre Box Office on (03) 9299 9800. Access to Stalls level is via the elevator in the Box Restaurant, next door to the theatre). Please see a Front of House staff member outside the Regent Theatre to gain access. PLEASE NOTE, there is no lift access to the Dress Circle at the Regent Theatre.